Hello! 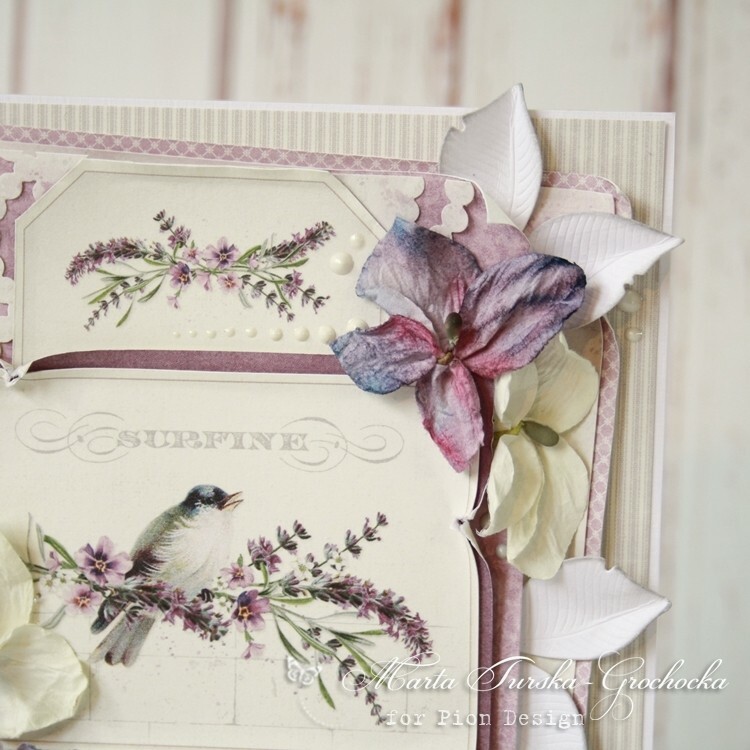 Today I have for you a card with some cute graphics – I used Pion Design’s papers with lavender and birds. Papers fit together in a perfect way, and believe me, I used many different sheets! I hope you like this card and these papers as much as I do! Marta beautiful layout with these wonderful papers and flowers. Wow, Marta, this is so light and beautiful.